for a while now, I have been toying with the idea of making a beetle pickup for me to use for work. rack capable of carrying full 8x4 sheets . It will probably take me a year (or more) to complete. 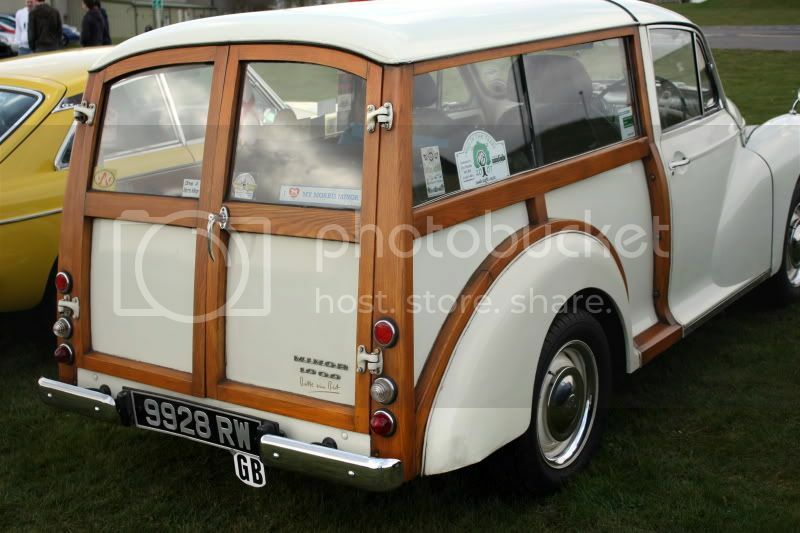 Also thinking of using a type 3 engine/motor for more load space. Are these becoming too rare/hard to find for this to be a good idea ? Since we're on r.a.m.v.a we can assume you're going to do this with an air cooled beetle? Something like the Mini van? Just wonder what the total cost was? Total cost of which item? Not that I'd know anyway, since I didn't read through all of any of those links. I haven't owned an air cooled VW in twenty-five years. I had two beetles before that. A '64 which I souped up which ended it's life in a collision with a bridge abutment during an ice storm. And later a '68 which had the engine seize. Since the early '90's I've owned Scirocco's. Four of them overall. I still have two, one driven the other as a parts car. 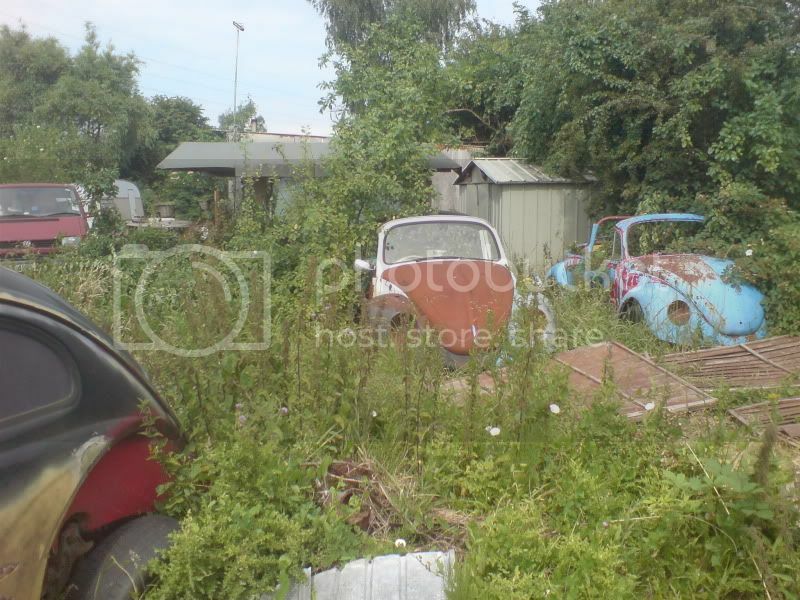 I'd like to find a restorable late '60's bug to work on after I retire. But I'd want it pretty much just as a bug. I'm not looking for anything like your objective. I just got done cutting a '71 type two down into a pick-up. It was pretty rusty . One thing the transporter has the beetle doesn't, a real frame. a beetle needs the roof for structural reasons. There are other panels and bracing that need to be fitted too. I have always wanted to convert a type 3 into a truck. 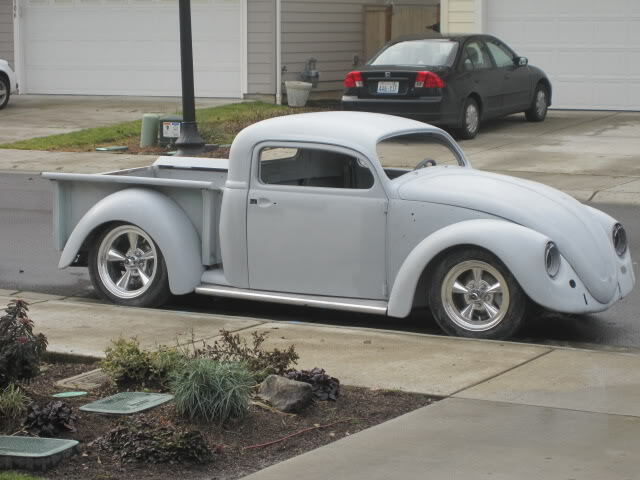 Nice pickup build here http://www.volksrods.com/forum/showthread.php?t &539 interesting how the 'cab' is full floorpan length, so keep the body strength. Arrrgh! I can't find a picture of my "Fonzie" Beetle wagon. It was an aweso me NZ designed and built fibreglass kit to go on the back of a beetle which had been choppedbehind the b pillar down to the bottom of the window, and cut straight out the back. It was awesome retro 80's with a spoiler on the back and a beetle engine in the rear. I could sit inside the and repair the engine. Awesome, as it stopped pretty often! There was louunge suit built innto the back to sit on, at the height of the dogbox in the rear of a beet le... HEAPS of legroom! NZ designed and built fibreglass kit to go on the back of a beetle which had been choppedbehind the b pillar down to the bottom of the window, and cut straight out the back. It was awesome retro 80's with a spoiler on the back and a beetle engine in the rear. I could sit inside the and repair the engine. Awesome, as it stopped pretty often! There was louunge suit built innto the back to sit on, at the height of the dogbox in the rear of a beetle... HEAPS of legroom! That's what you make the cap for the pick up bed look like. Yes, I have that one in my bookmarks too, maybe even from you years ago ! Thanks Alan I enjoyed looking through your photostream :) A good reminder too, that you drive on the 'correct' side of the road ! LOL. The Beetle Van is something completely different to anything I have seen so far ! Wow! One post with 19 replies. Nice to see Ramva rockin again. I remember back in the late 70's seeing a Beetle pick-up conversion abandoned with no engine that would have been mine for the taking. Should have grabbed it t hen, but was driving a 73 Beetle at the time and still living at my parents house. A VW pickup in front of the house with no motor would not have gon e over very well. I should have just taken it home and asked for forgivness later. My rides - no stopping me now ! just bought my (and my daughter's) first bug, a 72 Super Beetle! new to VW's....Just bought a 1969 Bug. how to put a rotary in a super beetle?